The Singapore Rugby Union (SRU) has named the Men and Women squads that will travel to Korea to compete in the second leg of the Asia Rugby Sevens Series 2016 from 24-25rd September 2016. Singapore will be looking to build on their positive start at the last leg in Hong Kong with the teams finishing 6th (Men) and 5th (Women) respectively. Singapore’s Men are in Pool B with Sri Lanka, China and Malaysia while Singapore’s Women are in Pool C with Japan, Hong Kong and Uzbekistan. Newly appointed captain Marah Ishraf will be back leading the Men’s team after missing the Plate finals through injury. Back in the side is Samuel Teo who was impressive for Singapore at the 28th South East Asian Games. The standout from the Oldham Club has not represented Singapore since the 2015 SEA Games will want to come back with a bang this tournament. 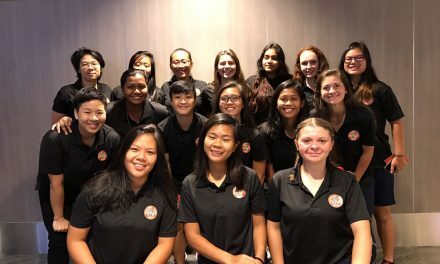 The Women’s team made 3 changes to the team that travelled in the first leg, recalling notable players Elly Syazwani and Ti Tauasosi to the squad. Elly is a seasoned campaigner for the Womens 7s team and her determination in returning from injury has reaped rewards for this tournament. Ti has played for Singapore previously in 15s and 7s and is currently based in Japan playing professionally. Team Singapore will also be donning the new Samurai kit at the Korea Sevens. 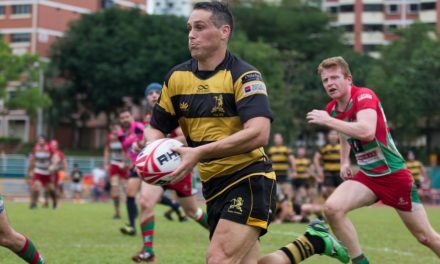 Samurai Sportswear is the new apparel sponsor of Singapore Rugby Union and is known around the world for their eye-catching designs, performance fabrics and above all quality. SRU Replica Jersey is now on sale on our Merchandise Store!